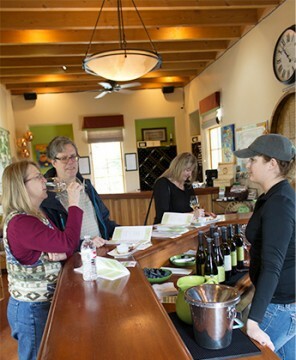 Although we had been wine tasting in Amador County before, this was our first chance to really make a day of it. Some advance research put Wilderotter Vineyard at the top of our list. The reviews that we read were very positive, but to be honest, they had us at “artisan cheese pairing.” The day was overcast, but our spirits were sunny and bright. We arrived right at opening time (excited? yes! ), chose a parking spot from the ample space provided and made our way to a tasting room guarded by a massive wooden door. It was time to taste some wine! We were immediately greeted by our wine guide for the tasting, Samantha. We settled in at one of the two tasting bars and Samantha set us up with tasting glasses. She poured some lovely NV Blanc de Noirs, and told us a bit about the history of the winery. The slightly pink sparkling wine got us off to a great start, with pear and grass notes and a crisp, dry finish. Samantha told us that Maggie and Jay Wilderotter started their winemaking journey with the purchase of 40 acres in the Shenandoah Valley and planted Zinfandel, Syrah, Barbera, and Viognier vines. The start was slow, but the progress was inexorable. While Maggie climbed the corporate ladder to become the CEO at Frontier Communications, Jay honed his grape growing and winemaking chops. 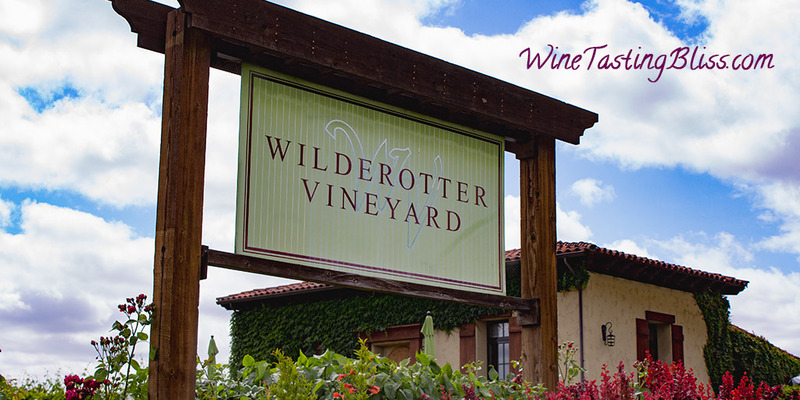 Fast forward to present day, and Wilderotter Vineyard now has 80 acres of vines and produces 5,000 cases of wine. 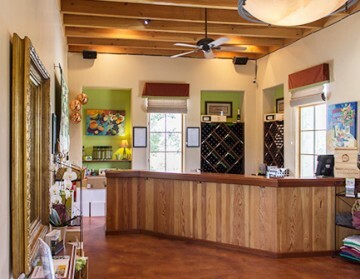 Oh, and they built a beautiful tasting room, put together a distribution network, and built a fan base that made sure that their vintages sold out regularly. That’s all. No big deal. Samantha put out the cheese and meat plates and poured their 2015 Vermentino. Only 90 days in the bottle so far, we enjoyed the pear and lychee nut notes, especially alongside some delicious soft cheese. Next up was a favorite for our group, their 2014 Rousanne. After spending some time on neutral oak and 15 months in the bottle, this wine showed fun honey, lemon and lime notes. A perfect wine beside a chicken piccata. Another favorite was their 2013 Mourvedre. Fruity and wonderful, this was an amazing pairing with the meat and hard cheeses. The 2012 Zinfandel took top honors, with a light and fruit forward taste that wasn’t overwhelmed by alcohol. A bottle of this wine followed us home. Their 2013 Barbera came in a close second. This wine has already won Gold Medals in the San Francisco Chronicle competition and the Monterey competition. Crystal clear fruit flavors with a light cherry and coffee finish. We completed our tasting flight with their 2013 Vin Doux, a white Port. 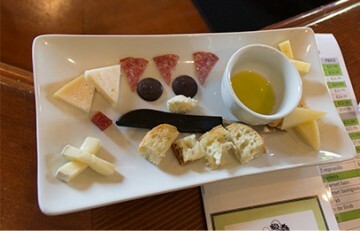 We appreciated the balance of sweetness and acid, especially nice paired with their blue cheese and chocolate. 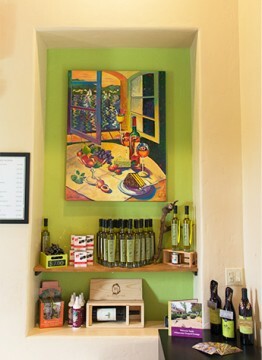 We had a long list of possible wineries to visit, so we purchased our wine and said “see you again soon!” to Samantha. What a great start to our day in the Shenandoah Valley was off to an auspicious start! 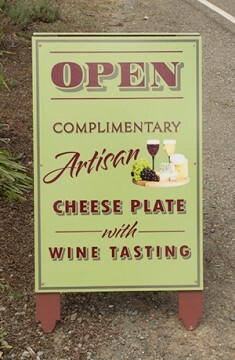 Have you visited Wilderotter Vineyard? Click to give'em a tweet of support!